An elegantly simple solution with an attractive curve to the top of the screen and effective sealing along the bath top. The Curved Double Panel bath screen with Towel Rail is a simple and practical solution for any bath enclosure. With an elegant curved top, a quality polished silver frame and a towel rail; the Curved Double Panel bath screen will create the perfect bath shower enclosure. It is constructed using toughened 6mm safety glass, which also features a unique AllClear coating. 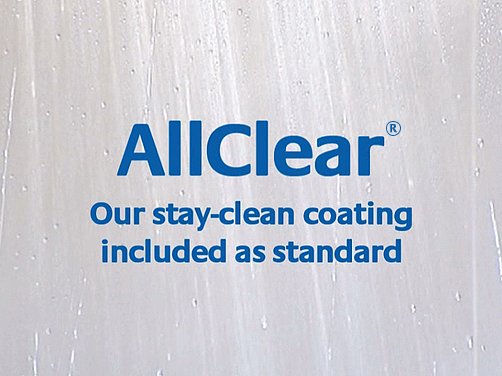 The AllClear coating provides a shied against scum and grim and has hydrophobic properties that cause water to run cleaning itself as it goes. The glass panel is fully reversible. 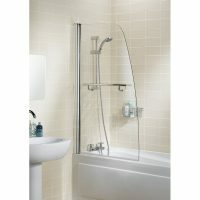 The Curved Double Panel bath screen measures 1400mm tall and 975-1000mm and has been designed for easily installation. This is a quality product by reputable the manufactures, Lakes Bathrooms. Lakes Bathrooms also offers an impressive lifetime guarantee on this product. The Curved Double Panel with Towel Rail bath screen is a simple, yet highly practical solution for any bathroom enclosure. Moreover, it is available at the lowest price online at Ross’s Discount Home Centre’s online store. 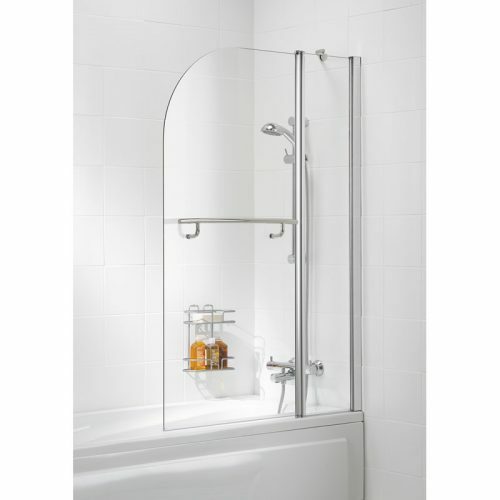 Buy this elegant and practical bath screen online today to create the perfect shower enclosure!